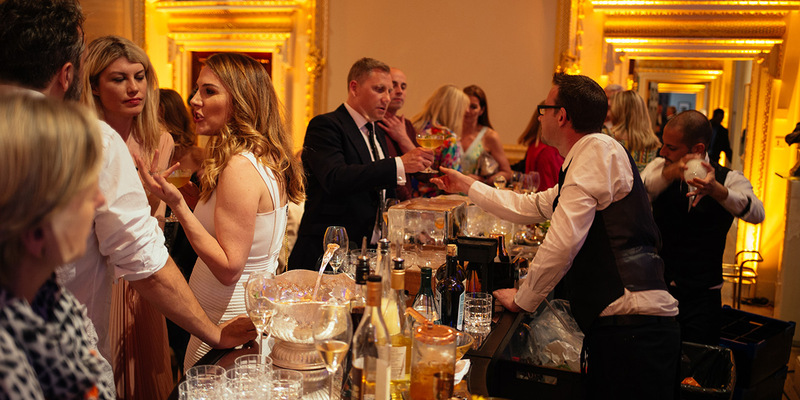 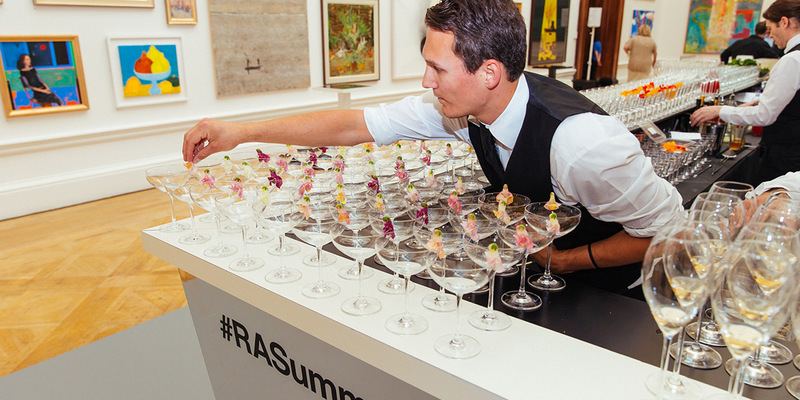 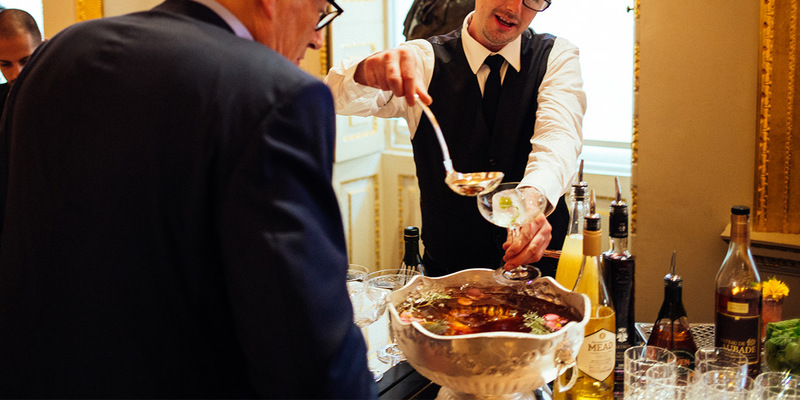 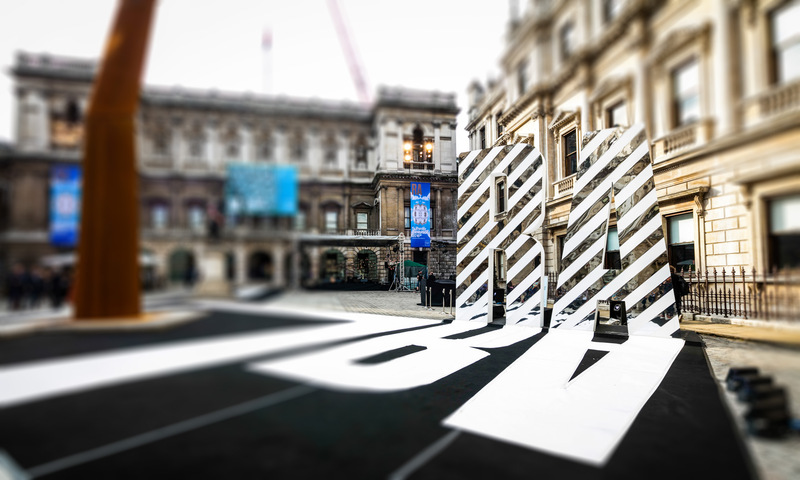 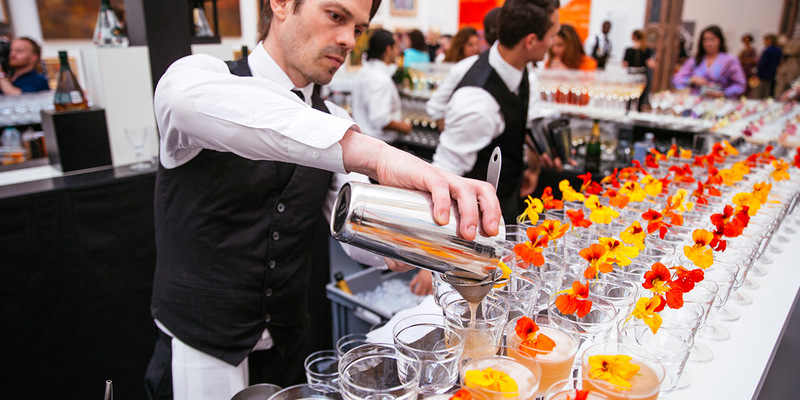 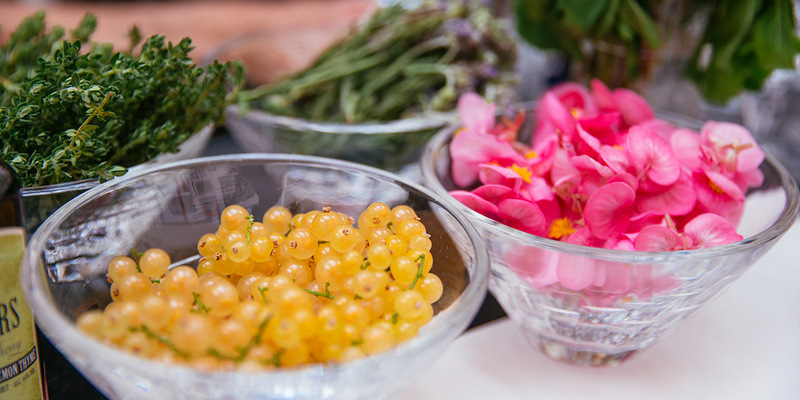 For this year’s Royal Academy Summer Exhibition Party we took our inspiration from the contrast between the balmy summer days and crisp summer nights of Northern Europe, by balancing intense aromatic flavours of Nordic spirits such as Aquavits, gins and whiskies with fresh, summer botanicals from the British Isles. 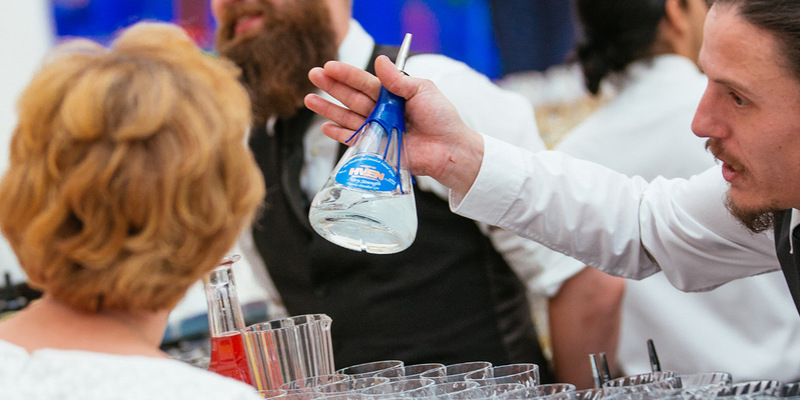 Hven Organic Vodka and Aquavit served long over ice, seasoned with yellow Chartreuse and sweetened with home made Riesling and Elderflower cordial, charged with Dr Polidor dry tonic water, finished with a hint of arctic lingonbery liqueur. 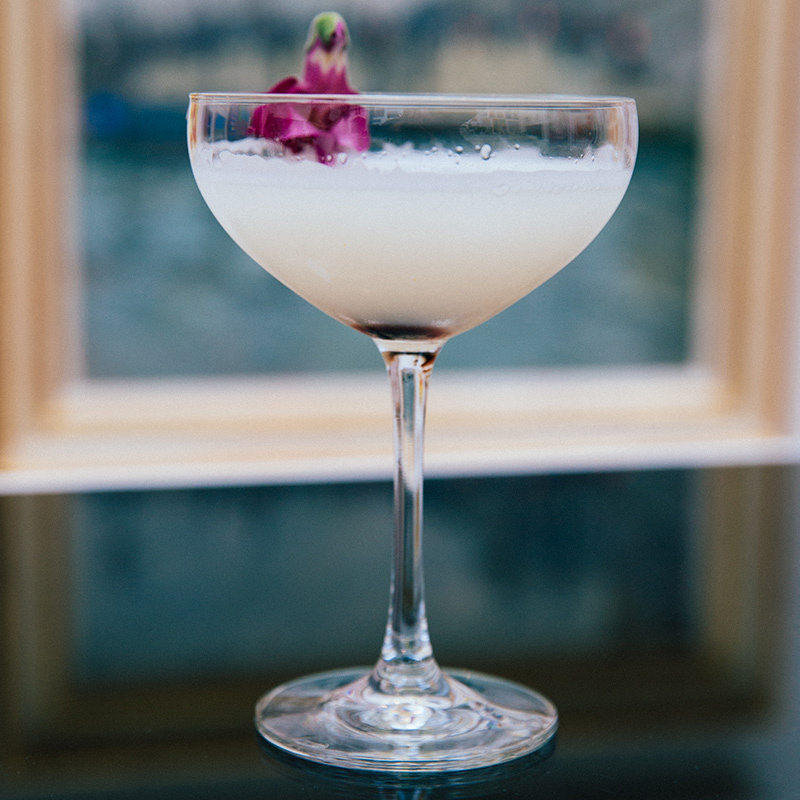 Hven Organic Gin shaken with cold pressed lemon juice and a touch of Jospeh Cartron Triple sec. 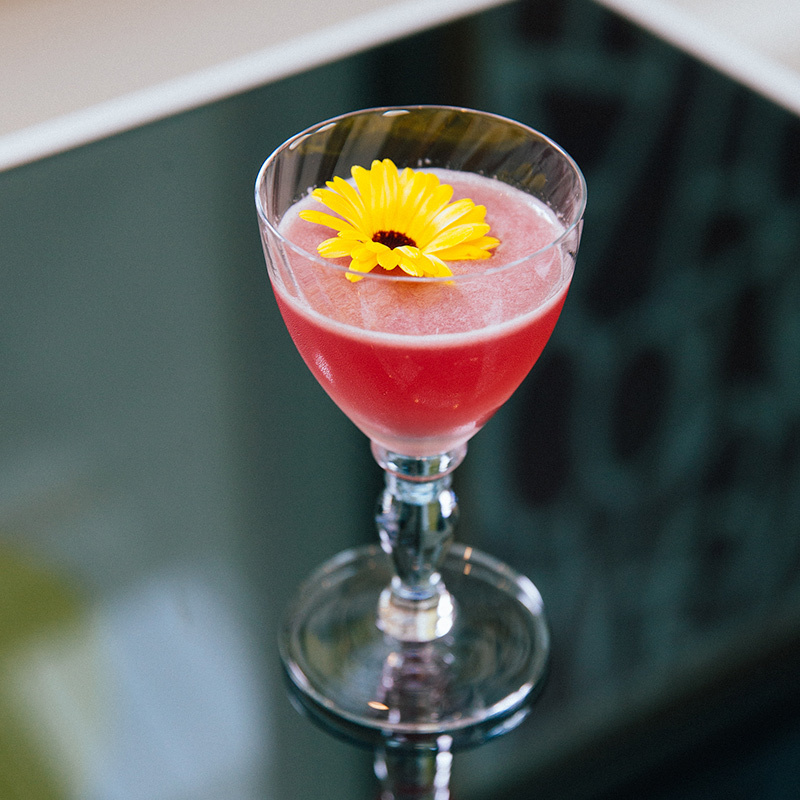 Hven Navy Strength Gin shaken with Calem Rose port wine and home made lime and lingonberry cordial, served straight up. 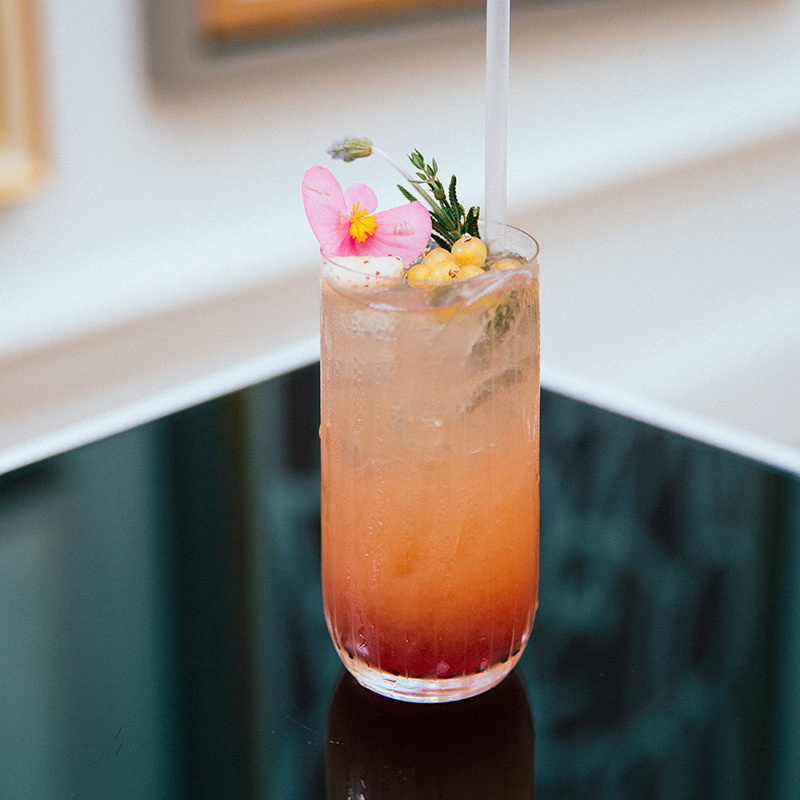 Hven Organic Aquavit and Organic Summer Spirit shaken with fresh citrus, a hint of Cartron Peche de Vigne and Lillet Rose, sweetened with clement spiced syrup, seasoned with peach and hops bitters, served straight up and scented with orange blossom. 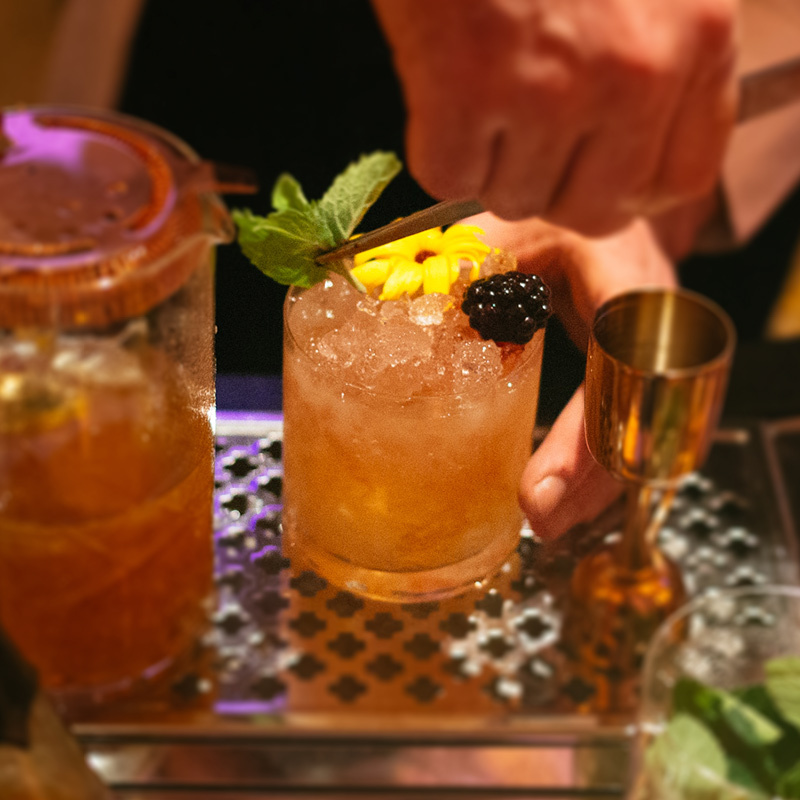 Our drink theme for the VIP lounge this year was inspired by the “cocktail boom” of the 1920’s by designing twists on a range of sublime drinks from the iconic Savoy Cocktail Book. 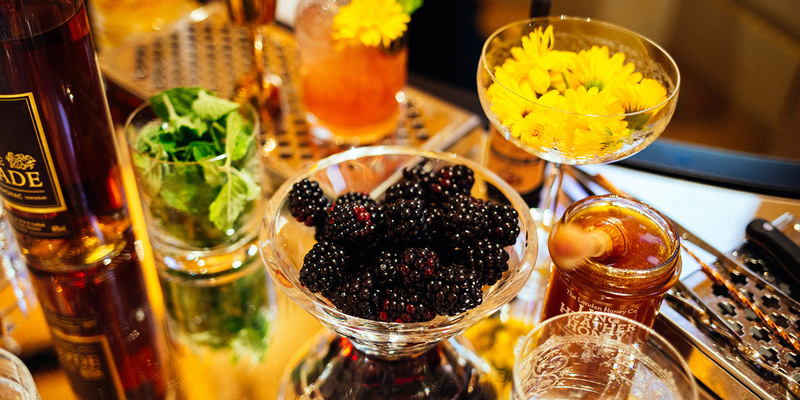 Working with a range of exciting hand crafted artisan spirits provided by Amathus Drinks. 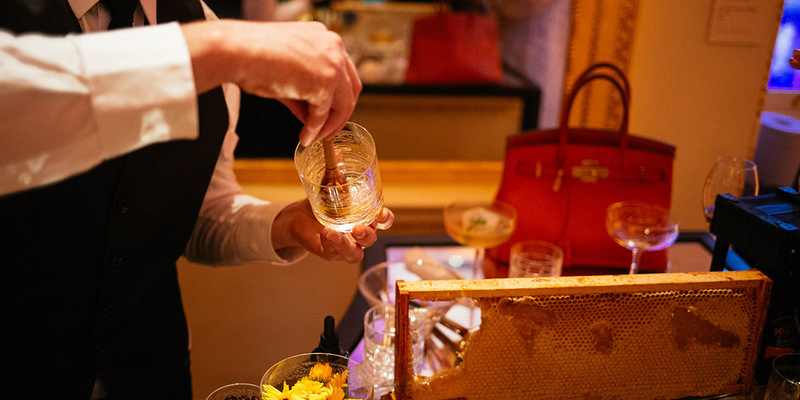 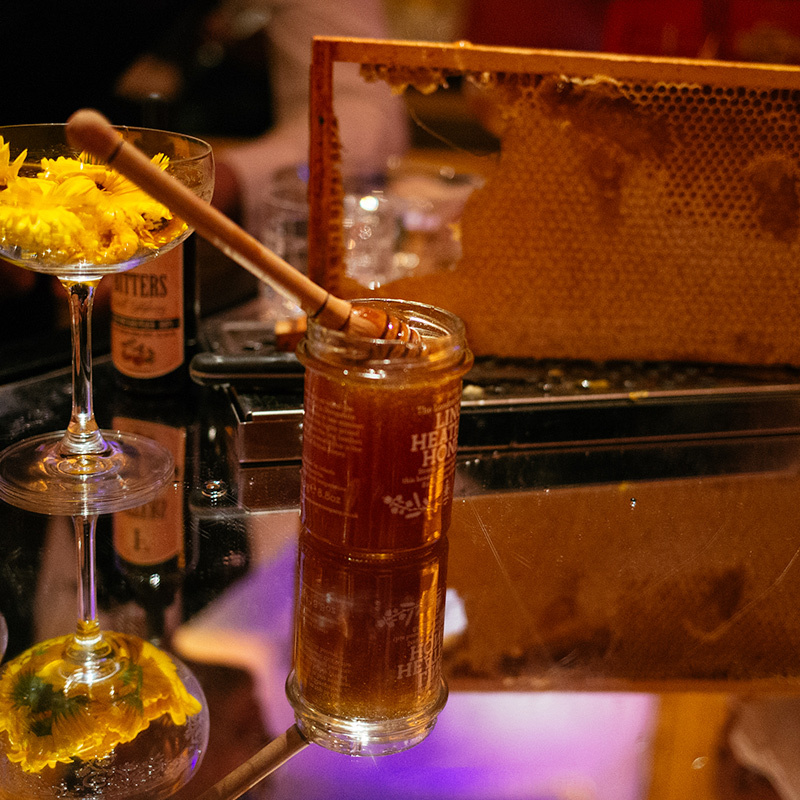 Chateau de Laubade Hors d’Age Armagnac and a touch of mead, stirred over ice hand cut honeycomb and a hint of cloudberries. 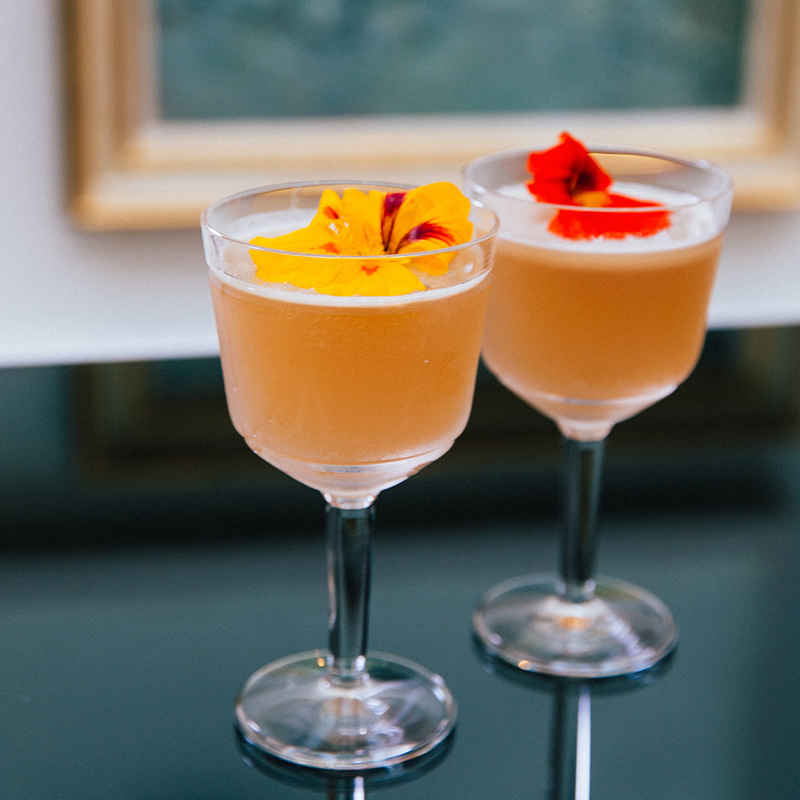 Hven Organic Aquavit and a touch of pressed lemon, sweetened with Ling Heather Honey, served over crushed ice and laced with Jospeh cartron crème de mure. 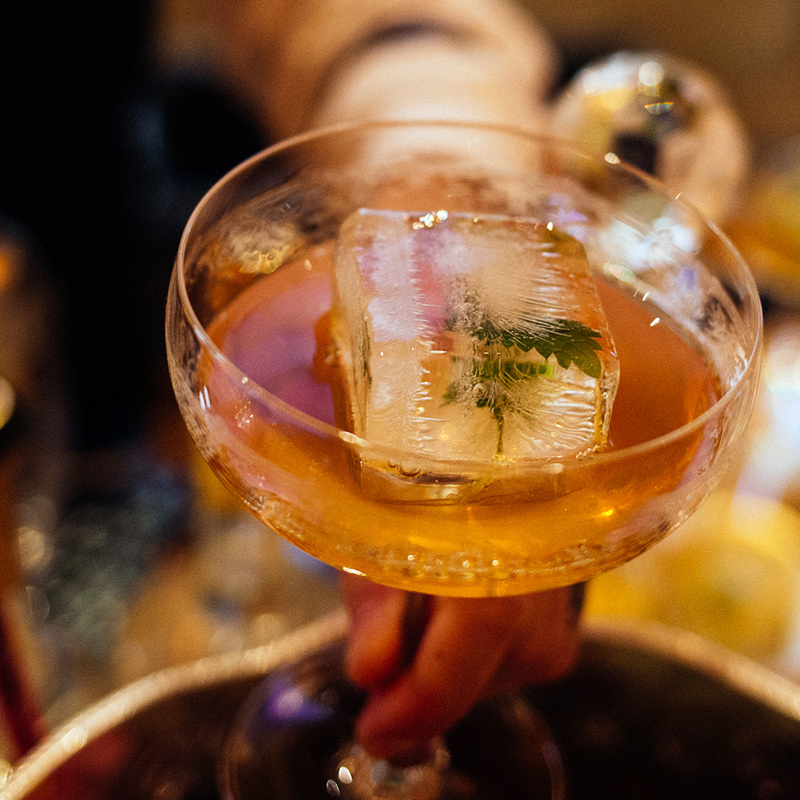 served over nettle and fennel flower infused ice cubes. 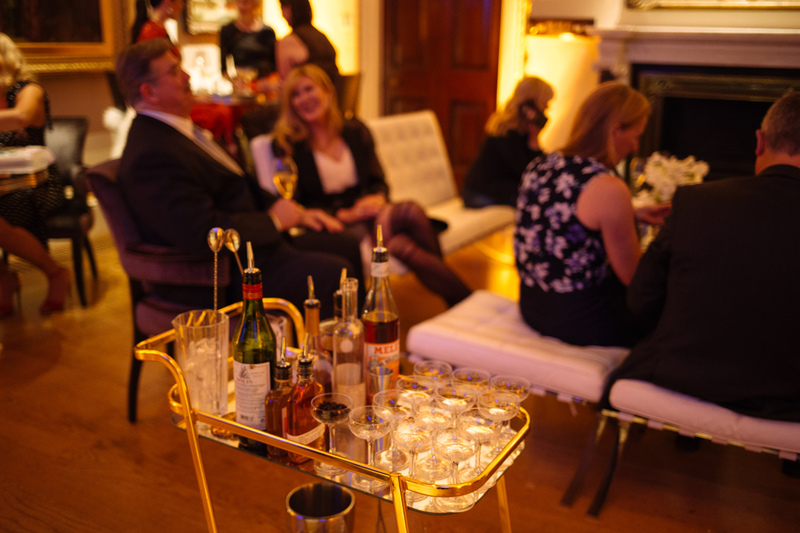 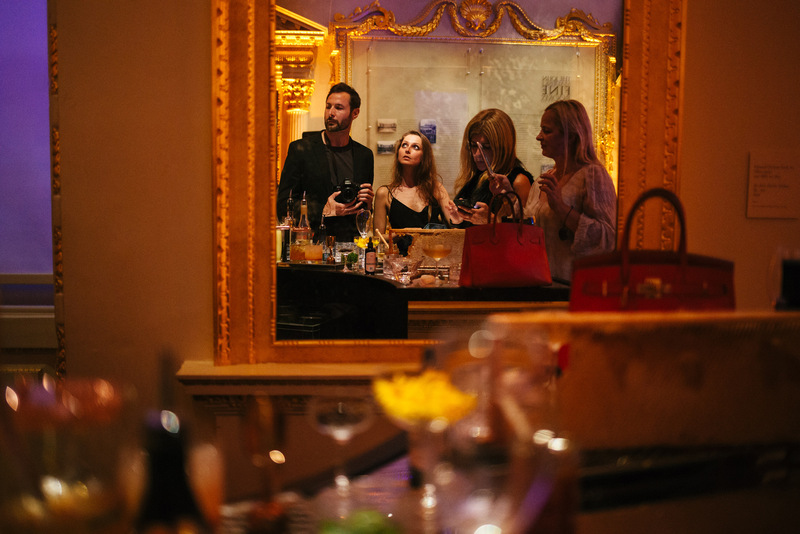 Towards the later hours of the evening a range of indulging dessert drinks was served to order from an art deco styled drinks trolley.